When it’s time to find qualified mortgage lenders in Port St. Lucie, look no further than the team of seasoned loan professionals here at Seacoast Bank. 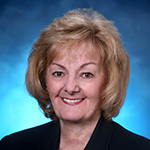 Among our lending experts is Ellen Falk who serves St. Lucie County, Florida. Ellen gained experience as a processor and closer early in her career. Ellen originates mortgages all long the Treasure Coast, but the span of her mortgage industry knowledge goes much farther. Ellen expertly handles government backed FHA and VA loans as well as conventional mortgages. Conventional mortgages are loans with a fixed interest rate over a set term of 15, 20 or 30 years. Fixed rates and terms allow for better budgeting and a consistent monthly payment amount. One of Ellen's loan interests is new construction. Having worked with experienced builders, she has a unique understanding of the complexities of home construction which makes her an ideal source for new construction loans. The Doctor Mortgage is one of Ellen's specialties. A home mortgage designed specifically for the unique financial situations of medical professionals, this loan is open to MDs and DOs who have been out of residency for 10 years or less and who are employed by an established practice or a hospital. Both fixed and adjustable rate options are available, and no mortgage insurance is required. Seacoast Bank mortgage lenders provide the knowledge and experience clients need to make an educated, informed loan choice. Give Ellen Falk a call at 772.342.7701, complete and submit our convenient online form, email us or stop in at our Port Saint Lucie office located at 1790 SW Gatlin Blvd. Suite 202 to find out how we can help you finance your dream home.